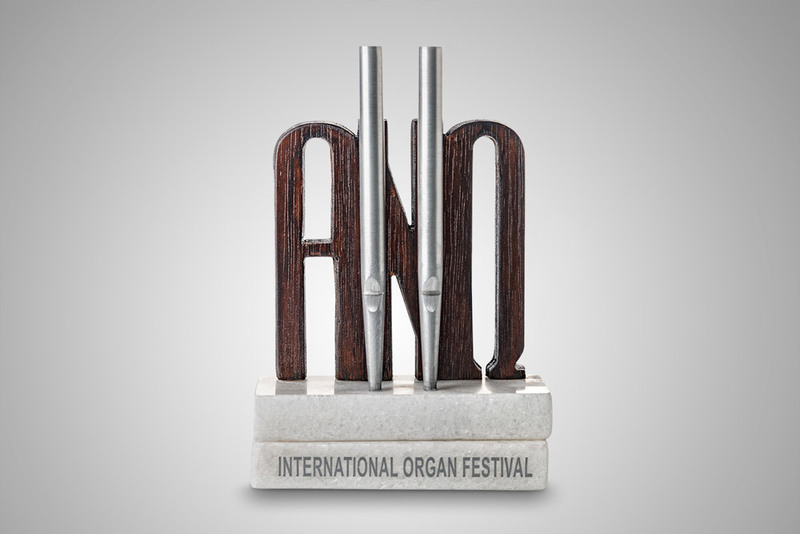 Based on the ANO Festival logo, the artwork alludes to the organ housed in St. George’s Cathedral and to the hill of Ano Syros, home to the organ and the cathedral. 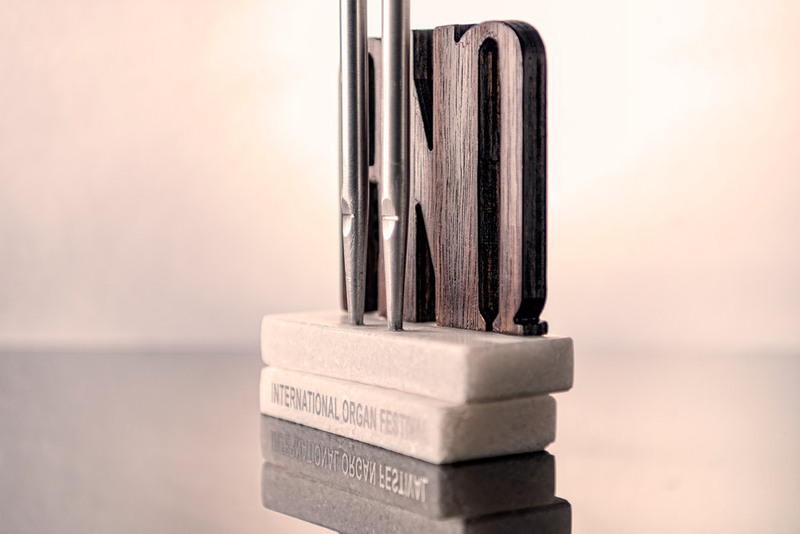 The woodcarving is firmly grounded on the medieval settlement’s marble steps which lead to the aluminum pipes of Greece’s oldest ecclesiastical organ. Panagiotis Kaloudis has a diploma from Preparatory and professional School of Fine Arts in Panormos, Tinos, where he studied under the tutelage of Y. Maniatakos. He later achieved the highest scores in the entrance examination for the Athens School of Fine Arts, where he was nominatedfor a scholarship year after year. His teachers were E. Panourgias and Y. Chouliaras. He has participated in symposia as an assistant, and also in group exhibitions. He has created bustsand various sculptures in his workshop in Ermoupolis, Syros. His works can be seen in various public areas, as well as in private collections.